Travelzoo for instance, just issued the results from its Spring 2017 Travel Trends Survey, which showed that Canada will have a significant uptick in popularity this year, with interest in visiting nearly doubling over last year among Americans and Germans. In addition, interest from Chinese, Spanish and British travelers is also on the upswing, says the Travelzoo report. So what’s behind all the Canada appreciation? While it’s always been a popular destination, the current spike is most likely tied to a combination of all the factors already mentioned. “Canada celebrating its 150th anniversary is one of the big reasons it’s popular right now. There’s been a lot of thought put into celebrating that anniversary,” says Susan Catto, head of publishing for Travelzoo Canada, who pointed out that national parks throughout the country are free all year long as part of the anniversary celebrations. That’s right – all of Canada’s national parks, from coast to coast, will offer free Discovery passes for any and all visitors, for the duration of 2017. You must register for the pass online. But once obtained it provides access to about 171 locations across the country. Only one pass is required per car. If you’re more of a city person, consider heading to Montreal. One of Canada’s most vibrant cities, Montreal is also celebrating an anniversary this year – its 375th birthday, says Calvin Iverson from TravelPirates.com. To mark the occasion there will be a variety of special offerings including a new installation at the Cite Memoire that tells the stories of Montreal residents who’ve had an impact throughout the years. Anniversary and birthday celebrations aside, Canada being a relative bargain is also an increasingly big draw for travelers from around the world. There’s also the Trump/Trudeau factor which also cannot be overlooked in any conversation about Canada’s newfound sexiness. While Trump policies and commentary (including his many notorious Tweets) have discouraged travel to the U.S., Canada’s Prime Minister Justin Trudeau has made a point of reinforcing Canada’s stance as a welcoming destination. Trudeau has done everything from give speeches emphasizing Canada’s openness toward people from all countries to issuing pointed tweets reiterating that attitude. All of which led to the trending hashtag on Twitter: #WelcomeToCanada. Travelzoo is hardly alone in observing the trend. Hipmunk has also seen an uptick in interest in Canada. According to the site, flight searches to Canada are up 5% year over year. Some of the top trending cities among traveler’s searches on Hipmunk are Toronto, Vancouver and Montreal. 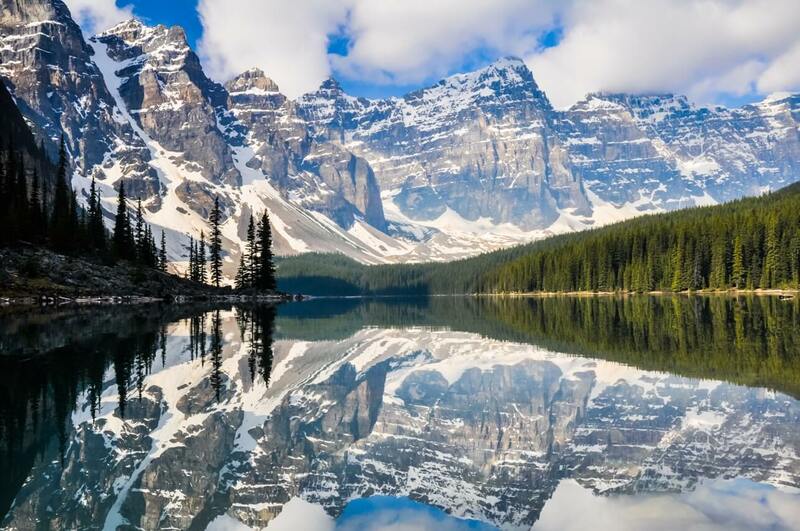 Lonely Planet and Travel + Leisure have also named Canada a top destination to visit this year, all of which has no doubt added to the buzz surrounding the country. And finally, Mahesh Chaddah, co-founder of Reservations.com offers one more reason for Canada’s increasing popularity this year – its perceived safety as compared to other countries.